We are amongst the leading Boiler ID Fan Manufacturer and Suppliers in India. Our wide collection of Boiler ID Fans meets the increasing demands of our commercial, domestic and international clients. We are committed to offering a wide selection of Boiler ID Fans to our customers. 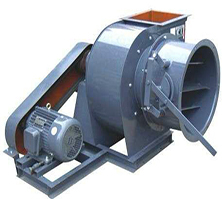 The offered fan is widely used to maintain a delicate atmosphere in petrochemical & pharmaceutical plants. We have earned a reputed place in the manufacturing industry as Boiler ID Fan Manufacturer and Suppliers. Our boiler id is carefully checked so that customers can only get the flawless boiler id fans. The furnace pressure control has a major effect on fuel fired furnace efficiency and performance, running a furnace at a slight positive pressure that reduces air ingress and increases the efficiency of the furnace. Offered boiler id fans have been designed for medium and heavy duty applications and that can be installed indoor or outdoor.